Up to 80 holidaymakers have been injured and 15, including five children, are in hospital, after a passenger train derailed en route to the Black Sea resort of Adler, in southern Russia. One of the passenger’s relatives told RT that the crash happened in such a remote area that it took the emergency workers 40 minutes to get to the site. During that time, members of a construction crew, traveling in the last car, which remained on track, began organizing the rescue effort. A local resident who rushed to the scene to help told RT that “most of the people did not understand what has happened to them." “Those who got out helped those that were trapped inside,” Artem Popko said. None died in the accident, and none of the children is in a critical condition. The youngest of the children is a one-and-a-half years old, another is six, with the rest are aged between 11 and 13 years. 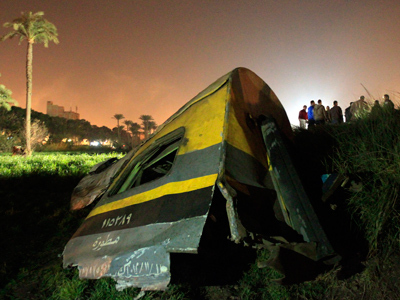 Witnesses claimed the 19-car train with 618 people on board was running behind schedule. 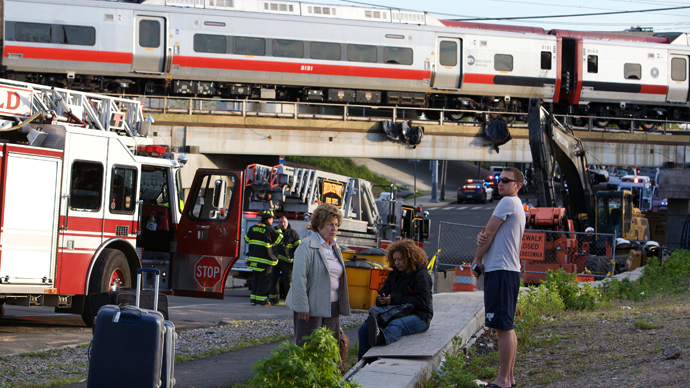 Some of the passengers believed there was something wrong with the brakes prior to the derailment, saying the train had to stop to make repairs to fix the problem. 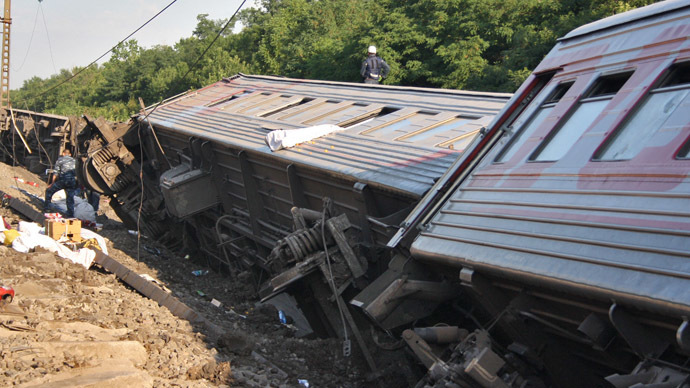 Reports differ on how many cars have derailed in the Kuschevsky district of the Krasnodar region. According to Emergencies Ministry, five cars crashed and overturned. According to the prosecutor’s office, eleven cars were wrecked. 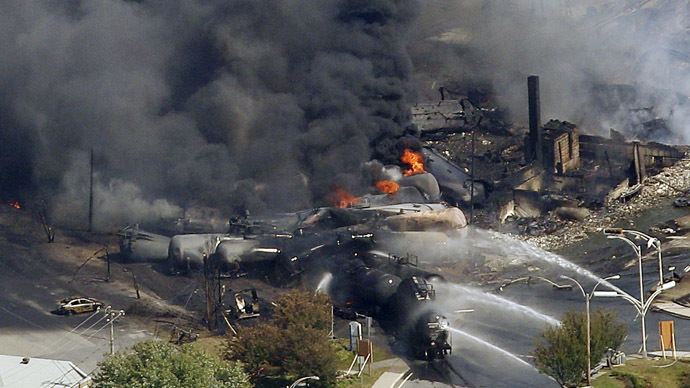 Investigators believe that the application of the emergency brake may have been the main cause of the derailment. “The locomotive driver noticed that the tracks were deformed due to the heat and was forced to apply the emergency brake,” a police source told INTAR-TASS, adding that “the consequences could’ve been much worse” if this wasn’t done. No official explanation for the accident has been given so far, however there is no indication of terrorist activity. According to passengers on the train, a power line in one of the cars caught fire. However this was extinguished before the arrival of the rescue team preventing even a bigger accident. 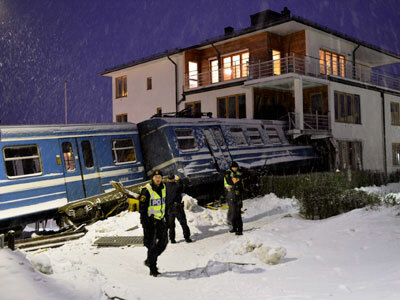 All of the passengers, barring those in hospital, have been taken to the train’s final destination, Adler. Repair work is currently under way, with over a 1000 people and more than 120 specialized vehicles involved in clearing the aftermath.